Seven students received commendations from the board for achieving All-Ohio status during the 2017 spring sports season. Individuals recognized included: Colin McCullough (state champion, 300-meter hurdles; third place, 110-meter hurdles; Colbey Fox, Takoda Crisman, Harrison Ivy and McCullough (sixth place 4 x 400 meter relay); Marisa Gwinner (fourth place, high jump; Garrett Kuns (second team All-Ohio in baseball); Mac Spears (second team All-Ohio in baseball). 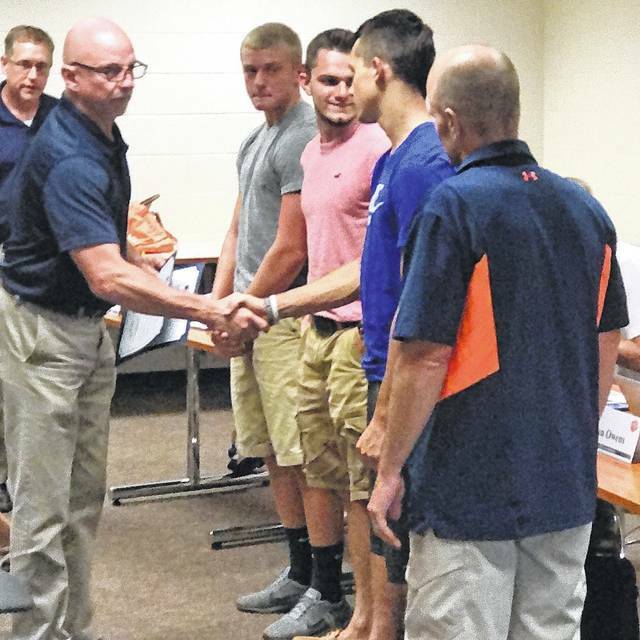 The school board also accepted a donation from the Galion Booster Club toward the purchase of weight room equipment at Heise Park Stadium. School board members are planning a special work session at 6:30 p.m. Aug. 1 at the Administrative Center. The next regular monthly meeting is at 6:30 p.m.Aug. 15 in the Galion Middle School computer lab.